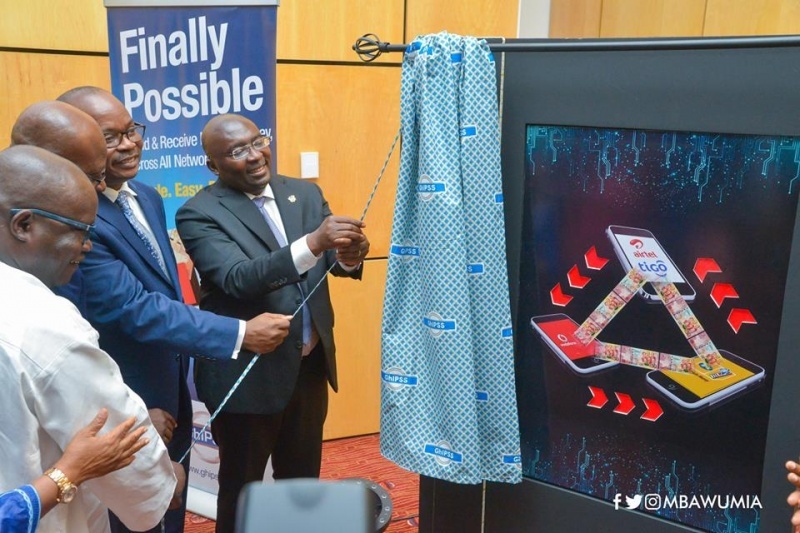 The Governor of the Central Bank has said the launch of Mobile Money Interoperability Payment System is an important milestone towards an integrated and interoperable electronic payments environment. Dr Ernest Yedu Addison said the introduction of the system will have a major impact in the country’s efforts to ensure greater financial inclusion. 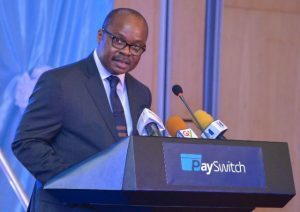 Speaking at the launch of Payswitch Co Ltd, Third Party Processing Company, in Accra he said the Bank has also established the needed financial architecture required to support robust payments and settlement systems as part of its commitment to ensuring an enabling regulatory environment. “As part of the broader strategy to create an enabling regulatory environment for convenient, efficient and safe retail payment and funds transfer mechanisms, Bank of Ghana (BoG) issued the Branchless Banking Guidelines in 2008 and the Guidelines for E-Money Issuers (EMIs) and the Agent Guidelines in June 2015. The broad objective of these guidelines was to promote financial inclusion initiatives by extending financial services beyond the traditional branch-based channels and to limit e-money issuance to licensed Dedicated Electronic Money Issuer institutions,” Dr Addison stated. “These guidelines formed a core part of the Bank’s strategy to create a supportive regulatory environment for adoption and use of a convenient, efficient and safe electronic retail payments and funds transfer. “Following publication of the guidelines, there has been increased activity in electronic payments, especially mobile money, with tremendous positive impact on financial inclusion”, Dr Addison indicated. Another major development in the payment system, according to Dr Addison, is the migration from magnetic stripes cards to chip-based payment cards which took effect in April 2018. This migration to secure chip-based cards is expected to minimize if not eliminate skimming or counterfeiting of payment cards. Dr Ernest Addison challenged stakeholders in the financial services sector and fintech companies to take advantage of the Interoperability system to design products to meet the constantly evolving demand. “An effective use of this infrastructure rests on market players to innovate and deliver payment products that meet the needs of various categories of customers. The Bank is always ready to support such innovations that do not pose risks to the payment system. “As the payment industry expands, efforts by fintechs should be directed at innovative financial products that provide efficiency gains and cost savings compared with the traditional payment methods,” he added. He said the Bank of Ghana will continue to play a facilitating role to further develop the payment systems infrastructure. Dr Addison said BoG will take proactive actions to safeguard the security of the financial market infrastructure and customer funds, as well as promote an enabling environment for innovative products and services to thrive.